First, we do amazing Whitewater Rafting trips. Rafting is the best and is not to be missed during your trip to Panama. We also recommend hiking and bird watching in cloud forests, cliff jumping in canyons, rafting in the best whitewater in Panama, breathtaking mountains with coffee farms, and gorgeous snorkeling island trips to the Pacific. We can offer an extraordinary, one-of-a-kind, Panama vacation that you can’t find anywhere else. Hike into The Lost Waterfalls private nature reserve where monkeys howl, quetzals glide and healing waters cascade fall more than a hundred feet into crystalline bathing pools. Our well- maintained trails will convey you through a dense and pristine forest to cliff’s-edge views and to the base of three breath-taking falls, the secret crown jewels of Boquete. Enjoy a picnic and a swim, explore inside an underground cavern and rejuvenate with an invigorating shower. Our Panama horseback riding tour adventure takes place in the mountains of Jaramillo, one of the areas surrounding Boquete. The beautiful scenery of this region makes it an ideal destination for horseback riding. Experienced riders as well as beginners and children are welcome! You will be riding with an experienced bilingual guide, so no worries if you have never ridden a horse before. We will teach you. 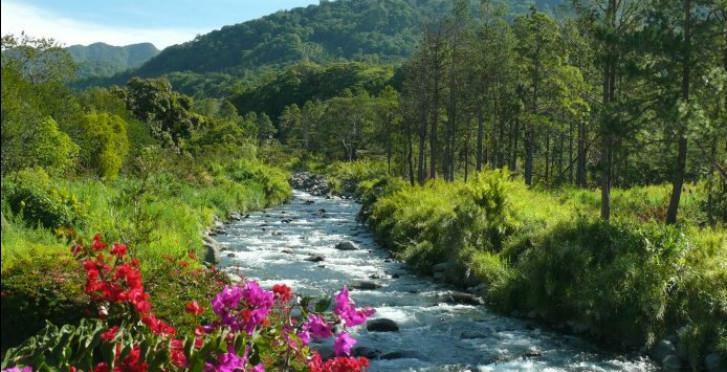 Chiriqui is one of the most important regions in Panama for several reasons. Around half of Panama’s land is used for agriculture and we are a world-renowned coffee mecca. But also, here in Chiriqui, we produce some of the world’s best rum and cigars, kind of like Cuba! Our Rum and Cigar Tour offers you the fascinating experience of learning how these two products (which many of us enjoy) are manufactured and produced. Come to Boquete, Panama and visit Finca Dos Jefes. Take part in the process of bringing coffee from the cherry to the cup. On the tour you will learn about growing, harvesting and processing coffee cherries. As you walk the fields, we will explain our sustainable farming practices and you will have the opportunity to see everything we do up-close. After our walk, we will return to our visitor center where you will learn about the evaluation process of coffee and sample different roast profiles of Cafés de la Luna. The tour concludes with one of the participants roasting coffee and all guests receiving a complimentary bag. You will leave with a new and different perspective on nature and the importance of bees in the lives of men. You will enjoy a typical Boquete Coffee Estate, complete with beautiful gardens and a huge variety of plants grown for us, the butterflies and the bees. Our honey is, we think, unique in the world. No where else that we know of produces 40 or so different flavor profiles of natural honeys (ie nothing added). It is possible because of the huge biodiversity around Volcan Baru. The tastings are a memorable experience. On our way to the hot springs, as we leave the lower Boquete valley, we make two stops to look at a majestic canyon, formed by the last major eruption of the Baru Volcano, approximately 1800 years ago. Along the way, we also stop to admire the Caldera Petroglyphs, The ‘carved stone’ was chosen by pre-Columbian Indians to carve a rudimentary calendar, used to help them to keep track of seasons, solstices and equinoxes. This was vital to help early man in planting, harvesting and possibly religious/celestial events coinciding with these seasons. The Caldera hot springs are 35 minutes away from town. Here we can find a variety of exotic animals, such as peacocks, a pet spider monkey, water buffalo and different farm animals. There are three hot springs with different temperatures (28°C, 34°C, 39°C). Additionally, within the river there are hot springs due to thermal vents bubbling up. For those who want more privacy we offer a private hot spring that fits up to seven people. *hot stone massage *relaxation massage *deep tissue massage *aromatherapy *facials *body wraps *body scrubs and more. The Haven uses natural organic products from the USA. We are a family operated adventure company that has pioneered the sport of river rafting in Panama. We offer incredible ways to experience Panama's beautiful landscape and unique culture through various white water excursions. We are the only rafting company in Panama to utilize Ngobe-Bugle (Guaymi) Indians as river guides. Panama is a country world renounced for its rivers of rare and remote beauty. The rivers vary in difficulty, providing white water adventures for every rafter, beginner to most advanced. As a company, we provide our clients with everything including meals, equipment, transportation, guides and safety personnel. We guarantee an unforgettable trip that you won't want to miss out on! Gunko is a basalt rock formation originated by last volcanic eruption of Baru hundreds of years ago. Take your body awareness to new heights as you climb the most incredible natural rock formations of Panama! There are some great places to stay in Boquete, hotels and airbnb homes to fit every budget. Here are some links that will help you decide which is the best place for you to stay. 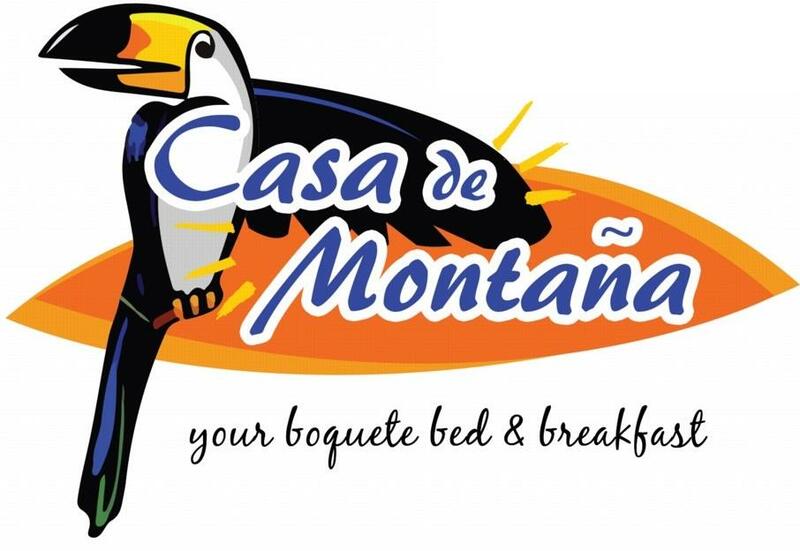 Casa de Montaña: Intimate, modern and comfortable Bed & Breakfast in Boquete, Panama. Ideally located, only a 15-minute walk from the center of town. TripAdvisor - Travelers Choice Winner for 2015. Ranked #4 in all of Panama in the category of B&B / Inns. Panamonte Inn: Experience the service traditions of one Boquete’s grandest hotels at Panamonte Hotel. Valle del Rio Inn: Nestled in the heart of the country-side, our Hotel is perfectly located for the weekend break or a leisurely mid-week holiday. Isla Verde: Isla Verde is situated just 3 minutes walking distance from the Boquete village in the highlands of Panama. Boquete Garden Inn: With its excellent worldwide reputation (voted # 1 B&B in Panama, # 3 in Central America, 2014 TripAdvisor Travelers’ Choice awards), Boquete Garden Inn is unlike conventional hotels. Valle Escondido Resort and Spa: Valle Escondido Resort, Golf & Spa in Boquete, Chiriquí is more than just a resort, it is a mindful community surrounded by everything you need to live life to the fullest. Hotel El Oasis Bed & Breakfast: Perfectly located close enough to downtown Boquete for you to enjoy the local downtown plaza, farmer’s markets, shops, major grocery and other attractions. The Hotel is surrounded by beautiful gardens that benefit from Boquete’s blessed weather known as the Valley of the Eternal Spring. Boquete Luxury Apartments: Appreciate all the comforts of home while you enjoy your stay in one of our charming apartments or lofts. Please feel free to email us at properties@boquetelandandrealty.com for more information or suggestions.